And you thought the Beyhive was scary. 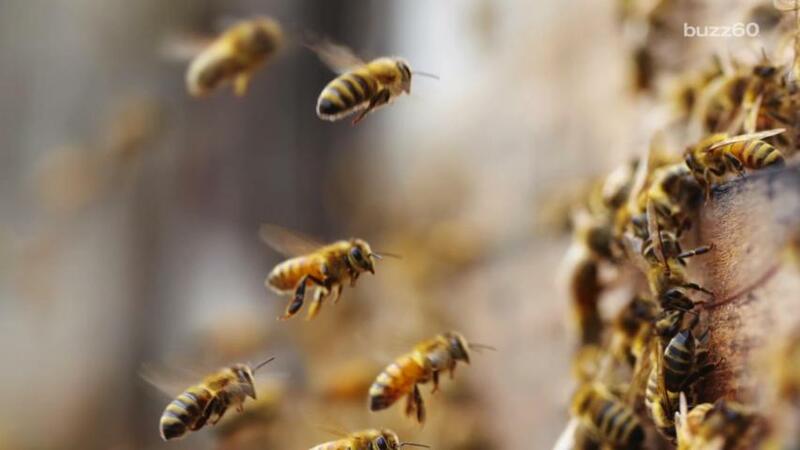 After a man in the United Kingdom accidentally trapped a queen bee in the trunk of his car, a swarm of 20,000 of her loyal subjects chased the car for a full two days. Roger Burns, of Pembrokeshire Beekeepers, told the Metro U.K.that when he and his fellow beekeepers first realized the queen was in the parked car's trunk, they tried to get her out. "We think the queen had been attracted to something in the car, perhaps something sweet, and had got into a gap on the boot's wiper blade or perhaps the hinge," he said. "The swarm of around 20,000 had followed her and were sat around on the boot of the car. I brought over a cardboard box and carefully brushed them into there as quickly as possible as I was aware it was a big swarm in the middle of the high street." But before they could successfully remove her, the driver got in their car and drove away, probably because whoever it was scared of ALL THE BEES near their car. "Eventually the car owner returned and drove off without realizing the queen was still hidden in the back," Burns said, "I think the owner must have been a bit scared of the swarm that was hanging around and just wanted to get away without realizing they were attracted the car because of the queen." So the car drove away with 20,00 bees in tow — and they didn't let up the chase for two days. "I have been beekeeping for 30 years and I have never seen a swarm do that. It is natural for them to follow the queen but it is a strange thing to see and quite surprising to have a car followed for two days. It was quite amusing," Burns told Metro U.K.. Amusing is one word for it ... terrifying also works.